We really share the ideas here for survival of old stuff that can be otherwise thrown away or wasted! 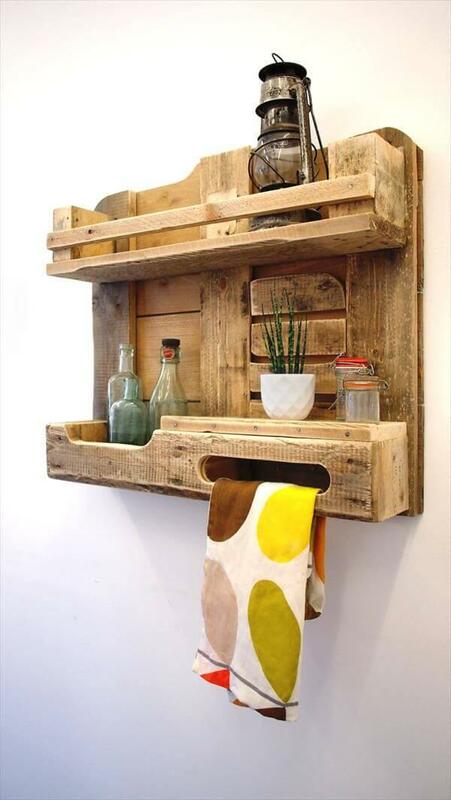 Pallet wood is also one of such material that can live again with you if you give a bit extra care to them! 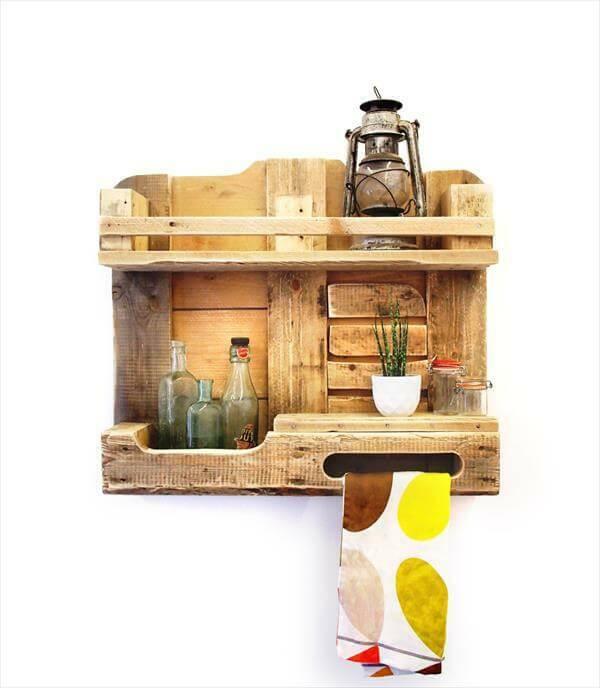 Apart of this, pallet wood is also special for furniture crafting and people are getting amazing furniture pieces out of them without spending a bit of their money and also those of extra brilliant wall decors, wall art pieces and antique wooden wall signs! 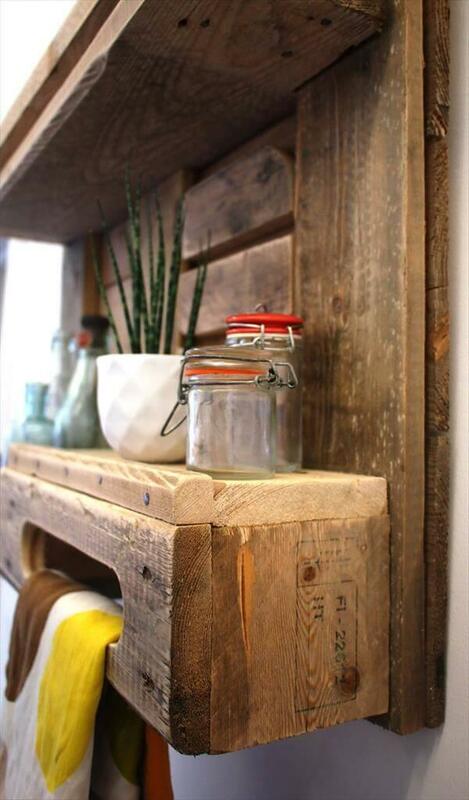 Pallets are good enough for installation of wall hanging shelving unit and here is sample of it, try this DIY pallet wood kitchen shelf or wall unit, amazingly made to inspired and comes with different random shelving levels to provide care and showy display to your items of interest! This DIY pallet rack is good enough for spice storage and also comes with a little towel holding setup to clean your hands after each cooking attempt! Use latest hardware to mount it on kitchen wall and use the paint to customize the look or to vary its hue!